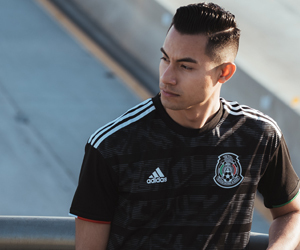 In front of 49,617 souls at SDCCU Stadium, the Mexico national team kicked off its annual MEXTOUR in the United States. A 3-1 victory for Tata Martino’s men left many fans optimistic that the Argentine tactician is the right man for the job. Their first opponent, two-time Copa America champions Chile presented a strong group highlighted by veterans Arturo Vidal, Gary Medel, Mauricio Isla and striker Nico Castillo from Liga MX giants Club America. Mexico also showcased its top guys with in-form attackers Raul Jimenez and Hirving “Chucky” Lozano spearheading the offense alongside Rodolfo Pizarro. Jimenez has been outstanding in the Premier League, scoring 15 goals and 6 assists, was relentless pressuring the Chilean defense. Although his goal came via penalty kick, RJ9 went after every header, causing Chile to turnover the ball which resulted in numerous counter attacks. Jimenez’s partner, “El Chucky” spent more time on the ground than creating chances in the first half as Chile’s game plan of slowing down the PSV winger was to be physical with him and frustrating the speedster. A few non-calls against Lozano got him booked around the half hour mark and could have seen red as he argued with referee Ted Unkle. What was to be a friendly match, looked more like an intense physical playoff-type battle on the pitch. At half time, 13 (29 at full time) total foul calls were called with only four total shots between the teams. That physicality backfired on Chile as Carlos Salcedo was dragged down on a corner kick which led to Jimenez’s 52nd minute goal. Jimenez had his shot rejected by the post prior to the corner kick when he escaped on the left wing. Mexico continued its pressure on the wings with Pizarro and Lozano as well as left-back Jesus Gallardo and right-back Luis Rodriguez who both made daring runs and provided multiple crosses inside the Chilean box. Pizarro had an impressive showing on the flanks as his trickery and flamboyant style gave Chile defenders trouble all night. The Monterrey winger gave a nice backheel pass to Andres Guardado who almost delivered a pin-point pass to Jimenez before the defense cleared it for a corner kick that eventually led to Hector Moreno scoring in the 64th minute. Just two minutes later Pizarro was at it again as he delivered a perfect pass on the wing to set up Lozano for a spectacular chip-in goal over Gabriel Arias. At the post-game conference, Chile head coach Reinaldo Rueda Rivera praised Mexico’s organization on the pitch and highlighted their speed which clearly was a factor in the outcome. In the end, Mexico’s 4-3-3 formation was too much for Chile to overcome. Constant pressure and the quickness of their wings caused havoc for the South Americans. It was no cakewalk by any means, as Chile should have taken the lead early on, but Guillermo Ochoa made a goal-saving stop to deny Vidal’s powerful header. Moreno also headed away a goal after Ochoa carelessly gave the ball away. Mexico will have a few days to clean up their mistakes as they head to Santa Clara, California to take on Paraguay on Tuesday March 26.